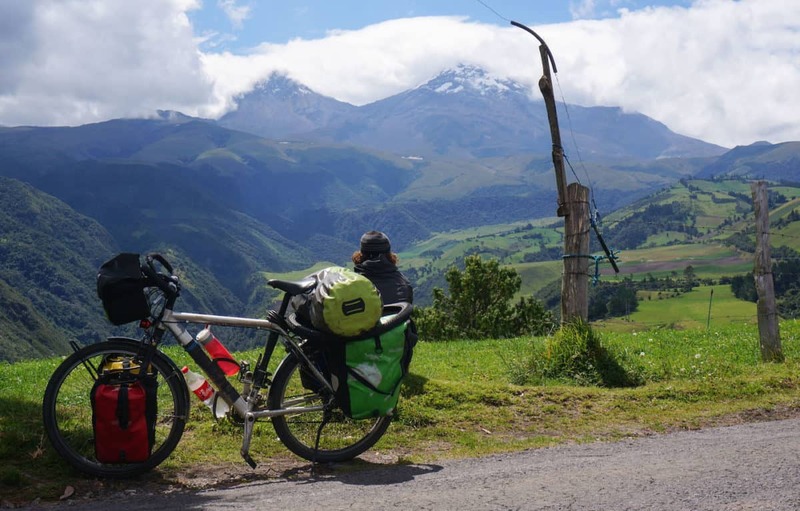 The land of the volcanoes, as Ecuador is known by many, is a fascinating destination for bicycle tourers. Drivers are respectful towards the cyclists here, and its rugged geography makes for a great place to explore on two wheels. 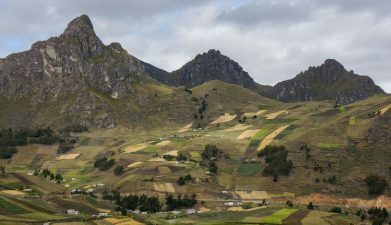 After exploring the Amazon Jungle and camping in Cotopaxi National Park, our next goal was to explore the area surrounding the mighty Quilotoa volcano. At almost 4.000 meters, this 3km wide, water-filled crater is a magnet for backpackers and travelers alike. 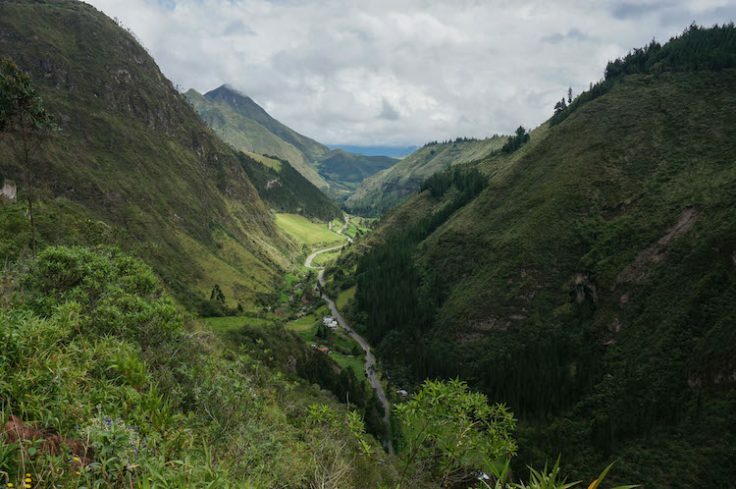 The Quilotoa Loop, as it’s called by guidebooks, is a popular attraction in Ecuador. The good news is that travelers are concentrated in 1 or 2 towns along the route but the best sections are seen from the road. Having your own bicycle will allow you to stop at the best corners, enjoy the best views, chat to locals and cycle on small roads where you encounter more people riding horses than driving cars. 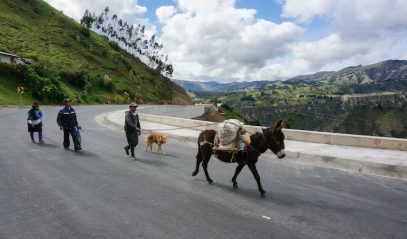 A ticket straight into the Ecuadorian culture in the countryside. We left the Panamerican highway and took the detour to Sigchos. 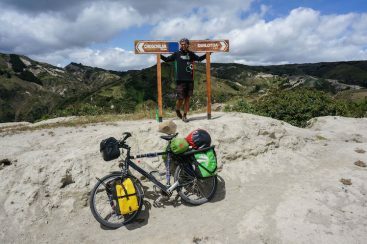 Cycling north to south proved to be the right way to do this route, as you gain altitude slowly and there are not as many climbs. As soon as we left the main road, I knew where were in for a good ride. Traffic was almost non-existent, people suddenly started to be more chatty and friendly (something very common up in the mountain regions) and the scenery started to impress more and more. 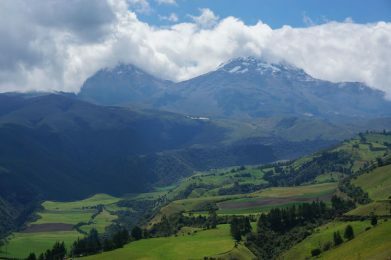 The northern region of Ecuador is packed with volcanoes. Climbing expeditions to the summits of Cotopaxi and Chimborazo volcanoes drag many visitors every year. These peaks reach well over the 5,000 meters (16,000 ft) and have snow at their peaks. Its brown and white colours together with the surrounding green mountains and blue skies made for spectacular landscapes. Apart from being a spectacular ride, it was also a tough one for cycling. 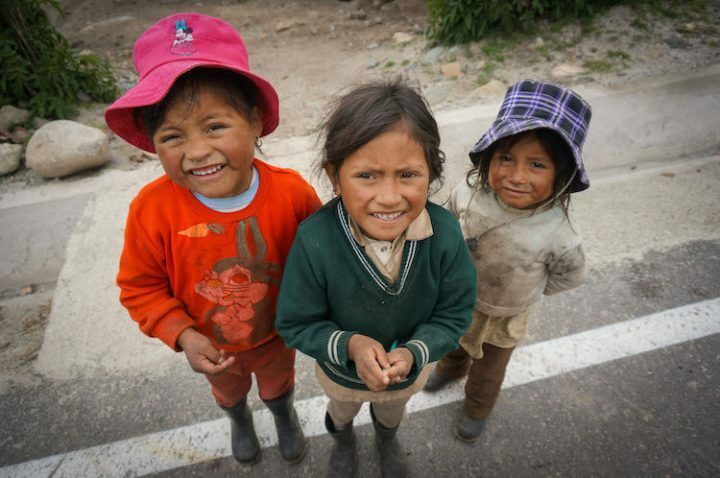 There are 4 mountain passes to climb, one of them over the 4,000 meters (13,000ft) mark. Cycling at this altitude makes everything harder so it’s important to take it easy. There were also some sections with steep climbs. 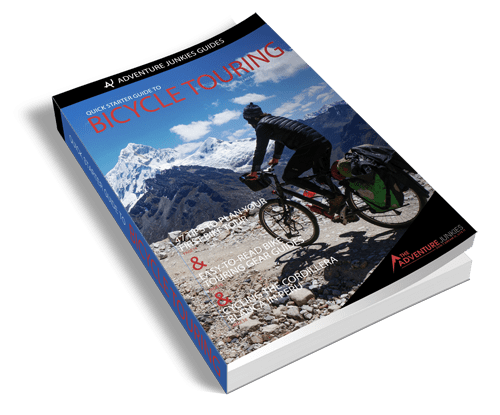 Be prepared for two 3km-climbs at around 10-14% grade before you reach Sigchos and a tremendous 2km-long climb at 17% before reaching the Quilotoa Crater at almost 4,000 meters of altitude. Even though these sections were very hard on a fully loaded bike, the rewards you get along the route made these moments really worth the effort of the climb. As the road was hilly and beautiful at the same time, we decided to take our time and enjoy the ride. We did very short days and took some days off at some of the nicest towns we passed on route. We took 6 days to complete a 160km route. Some of the best sections were between Sigchos and Quilotoa. It’s a short distance of only around 40kms. 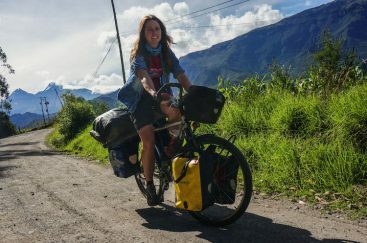 There is a small town in between called Chugchilán where there are some backpackers-type hostels where you can break your journey and spend 2 days instead of 1 exploring this beautiful area. We found Sigchos and Chugchilán a much better place if you want to take a day off than Quilotoa itself. Quilotoa is more touristy and expensive, accommodation is basic and it’s very cold. ALLOW PLENTY OF TIME. It’s a beautiful area but also very weather dependent. It’s worth it to wait if weather turns bad to fully enjoy the ride on a sunny day. START EARLY. During our time there, the weather was always much better in the morning than in the afternoon. TAKE YOUR TIME. It’s one of the best areas in Ecuador for cycling and meeting locals. Don’t rush it as you might miss your days in the Quilotoa region later on. The road is always at 2,500+ meters / 10,000 feet. You will have to climb 4 mountain passes on route, being the last one at 4,000 meters / 8,200 feet. 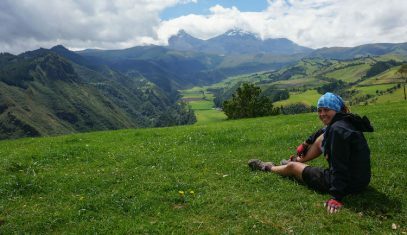 The steepest sections are two 3km-long climbs before Sigchos and a very tough 2km-long section before reaching the Quilotoa crater. 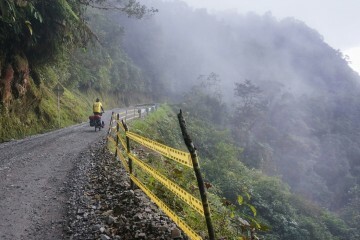 The route is 160km / 100 mi long from the Panamericana to Pujilí (via Sigchos and Quilotoa). 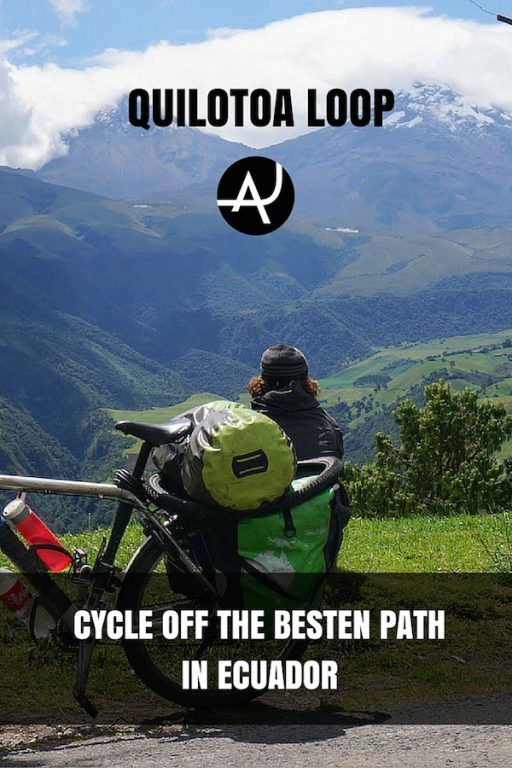 It’s possible to complete this route in 2-3 days if you really push it, but we strongly recommend to allow for more days to enjoy the surroundings. 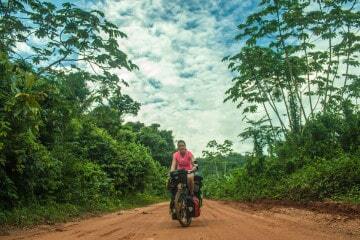 The dry season (June to September) is the best time to cycle this route. If you are looking for accommodation on route, the best places are Sigchos, Chugchilán, Quilotoa (very basic) and Zumbahua. Camping opportunities are plenty. 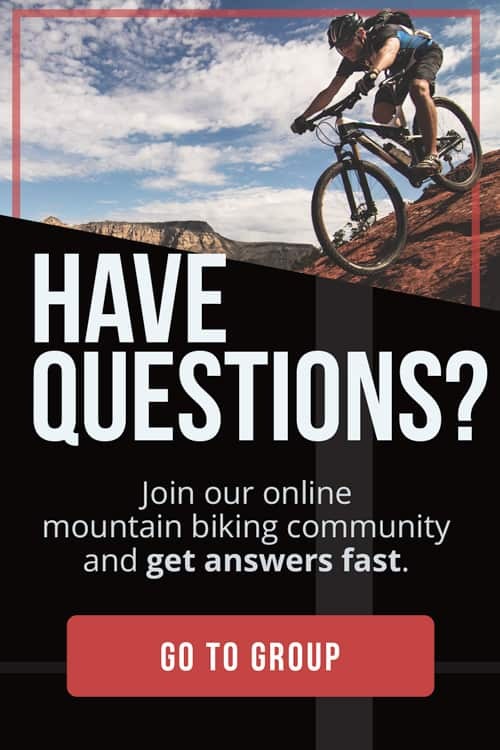 It’s a challenging yet rewarding ride. We had some sunny days but also some rains. There are not easy sections, you either climb or descend (only to climb back again). 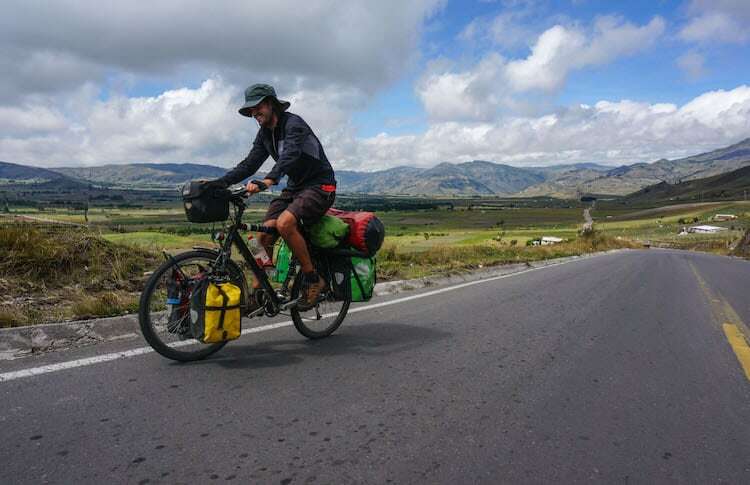 Bicycle Touring the Quilotoa Loop was one of the best cycling sections of our experience in Ecuador. It wasn’t an easy one. 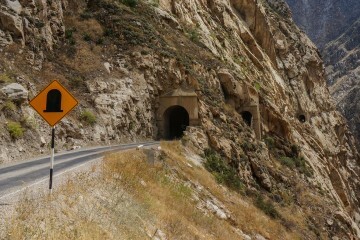 We had some tough climbs to face but the incredible scenery you go through make you forget about the hills. It’s also a great area to interact with locals, something we’ve found difficult in other areas of the country. Here, the people seem more relaxed and chatty towards travelers which led us to have a good time with them.